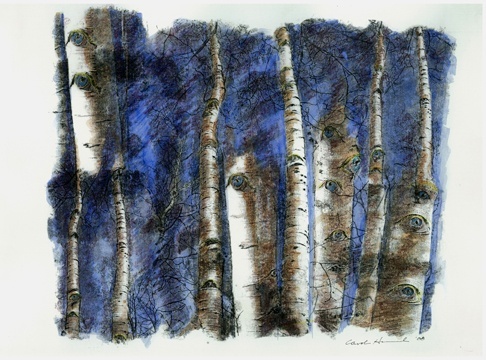 The eyes of the Aspen trees are beautiful and mysterious. This work on paper is one in a series created during my Colorado Art Ranch residency, Spring 2008. Contact me for purchase information.